The name Diamond bank in a few months will totally be forgotten since it has been acquired by Access Bank. But how did this happen since the bank was doing beautifully well and Envied by others. It would be nice to examine the Diamond Bank handed over by Dr Alex Otti and what is left of the bank four years later, under Uzoma Dozie and highlight how the young man actually ruined his father’s empire. I was a staff of Diamond Bank until recently, having joined in 2003. Let me place it on record that I am not particularly happy with Alex Otti just like other staff who love the bank. I have 3 problems with him. One, why on earth would such a brilliant man leave a great job he took after almost 4 years to join the uncertainty of politics? Two, why did he not think of the thousands of people he attracted to Diamond Bank, both staff and customers before pursuing this ambition? Three, why did he succumb to the doomed demand of the Dozie’s to have their incompetent son succeed him against what we all knew about him as an astute man who stood up to the Dozie’s, stopped them from milking the bank dry and even cancelled contracts they gave to themselves including supplying generators, air conditioners and auxiliary staff? I hope Dr. Alex Otti will respond someday. This write up was informed by an earlier one authored by one Emmanuel Chima alleging that Alex Otti ruined Diamond Bank. This is disheartening as same is a cheap set of lies which I suspect was jointly sponsored by the Dozie family and the Abia State government. It would be nice to examine the Diamond Bank handed over by Dr Alex Otti and what is left of the bank four years later, under Uzoma Dozie and highlight how the young man actually ruined his father’s empire. Truth be told, success and failure are predictable. It was clear to any one that cared that Uzoma did not have what it took to run a bank of the size of Diamond and a person cannot give what he doesn’t have. It is, however, not his fault that he didn’t have it, he had no opportunity to pass through the lessons that would have equipped him for the job, due to the silver spoon that never left his mouth from birth. So, when the push to chase out Emeka Onwuka (Pascal’s look alike MD) began, it was for Uzoma to inherit his father’s business. The foreign investor in the bank then, Actis, knew that trouble was near. Actis pushed back vigorously and threw in many options except Uzoma. It was clear that Ohis Ohiwere or U. K. Eke, both Executive Directors were the better candidates to take the bank to the desired height but Uzoma asked what their fathers were doing when his own father was busy setting up a bank. Actis maintained its resistance and compelled the board to open the vacancy to the public for participation. That was how Alex Otti was identified and approached by KPMG to compete for the job. It was an open interview session where both internal and external candidates were grilled, and at the end, Dr Alex Otti emerged the best candidate in spite of insider information available to those applicants already in the bank. Upon resumption, the Dozie family gave Alex one unofficial job description -to prepare Uzoma to succeed him. But how can you prepare someone who is not prepared to learn. Note that this was in spite of the fact the Dozie’s did everything to frustrate the emergence of Alex as the MD. Before delving into how Uzoma destroyed the bank, let’s look at the Diamond Bank that Alex Otti handed over to him. As the GMD of the Bank Dr. Otti was responsible for coordinating and directing the bank-wide strategy execution and monitoring framework by working with the Board and Management across several functional and diverse areas. The vision was to strategically position the bank among its peers across all performance indicators. The thrust of the engagement strategy was to lead the Bank and transition it from the identified four key areas of improvement which are; People (Disillusioned people with low staff morale), Culture (Disintegrated corporate culture), Strategy (Weak sense of ownership, monitoring and passion to execute) and Brand (lack of visibility and poor customer’s perspective). 1. Introduction of an automated Performance Monitoring framework and Balanced Scorecard which reduced subjectivity and accurately captured staff performance. 2. Facilitated the establishment of Diamond Academy- a world-class training institute that ensured holistic development of the Bank’s human capital. 3. Significantly grew the Bank’s Return on Equity from a negative position of (12%) in 2011 to 21% in 2013 thereby increasing the ranking of the Bank from the 15th to 5th most profitable bank in the Industry. 4. Created a customer-centric culture in all branches through a robust internal communications strategy that fostered product knowledge and sound customer service orientation in the bank. This moved Diamond’s ranking upward to No. 3 in 2013 according to the KPMG customer satisfaction rating. 5. Deposit base grew from N565billion in 2011 to N1.02trillion in 2013 and further to almost N2t by September 2014, a month before Alex Otti left. The bank’s ranking from No. 11 to No. 6 among all the banks in Nigeria. 6. Improved communication and employee’s motivation through the introduction of the quarterly GMD’s podcast and awards giving a sense of belonging to all employees. Also created a direct communication window with all staff directly through a committee to support free flow between executive management and staff. 7. Attained a “Best Place to Work” status by constantly improving on staff welfare, communication and feedback system. Implemented an internal survey that tracked the adoption of the strategy and the general perception of the bank by people. The result was that the Bank was ranked No. 3 among banks by the Jobberman survey in “the best financial Institution to work in” category in 2013. Improved staff compensation across board such that Diamond became the best paying bank in the country. 8. Categorized as one of the 8 systemically Important Banks (too big to fail banks) by the Central Bank of Nigeria in 2013. 10. Equipped the Bank structurally to focus strategically on the retail business leveraging technology and human capacity development. 12. Set up a full fledged subsidiary, Diamond Bank UK Plc in London. 13. Increased the presence of the bank in Francophone African countries to Ivory Coast, Togo and Senegal in addition to the branches in Benin Republic. But what did Uzoma do? First he brought back the eye-service culture among staff whereby every staff is clear that what mattered was not his contributions to the growth of the bank or individual staff ability but how the staff is perceived by the boss. So, focus changed from performance to staff accent (the more American, the better), staff carriage, staff dressing (off course he led the way with the introduction of dress-down and “keep mustache” culture). Staff did only enough to keep them from blame. No one went the extra mile to satisfy a customer. Fear was enthroned and morale dampened. 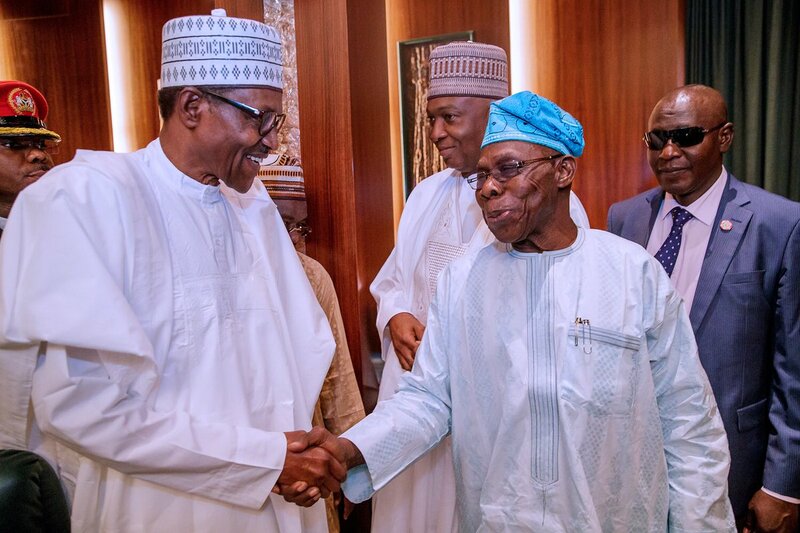 The fear in the bank was introduced in a way similar to Buhari’s comment about corruption which sent investors away: Uzoma’s phrase was that there were “evil people” in the bank who must be identified, fished out and exterminated. The problem was that there was no scientific way of identifying the evil people, so this led to his second mistake. – the distasteful and indiscriminate sack and irrational staff disengagement. He sacked almost all the capable hands he could identify within the bank, especially anyone who did not understand politics enough to warm up to him with fake loyalty. Recall that his first assignment after he took over was to sack senior people he tagged “Alex Otti loyalists”. He failed to understand that the so called loyalists were actually the best performers in the bank. He promoted mediocre staff with little or no experience to leadership positions and killed courage for healthy debate in the bank. All of his staff disengagement was distasteful and thoughtless, without any regard for the impact on the customers of the bank. For instance, he fired everyone in a strategic department in the bank for organising a send -forth for the head of the department he had earlier sacked. You can hardly see any ex-Diamond bank staff that has a positive thing to say about the bank. Once in a while every company could find the need to disengage staff but how they go about it makes the difference. When Standard Trust Bank took over UBA the staff disengagement was so clinical that many UBA staff applied to be disengaged voluntarily. In Shell Petroleum, (SPDC) people are disengaged in such a way that they continue to promote the interest of the company. 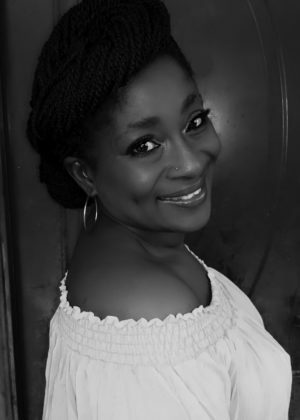 Even in Alex Otti’s time, people were disengaged with a human face and generous packages. But in Uzoma’s Diamond Bank, every staff is expendable with no compensation. 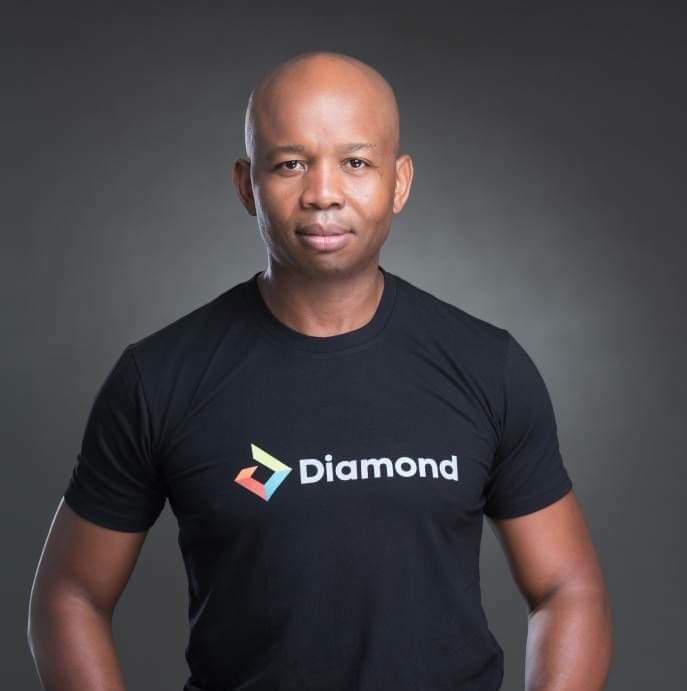 Talk to any ex-staff of Diamond bank and you will hear that what is happening now is God fighting for them. 10. Leaders & Company (Thisday) -N2.5b. Besides, there are several hundreds of other smaller ones. Under Otti, the bank made provision of N20b yearly for these loans he inherited. This was possible because he was making profit from where the provisioning could be charged. Under Uzoma, the bank was hemorrhaging and could not accommodate the huge provisioning. Alex Otti never hired any new person in the Risk Management function except the Head who went to Finbank on Special CBN assignment from Diamond that he brought back to the Bank. So, the allegation of firing staff he brought from First Bank is untrue. Diamond bank planned to be the leading retail bank in Nigeria, but Uzoma understood that to mean neglecting other areas of banking. Retail provides stable deposits but the income from retail cannot accommodate possible provisioning requirements in Corporate and Business banking. Having sacked most capable hands that managed corporate and business banking accounts, the bank had no choice but to face new provisioning on the loans. One would have expected Uzoma to seek for and hire staff from the industry comparable to those he was letting go, but remember that a leader only attracts people like him. It is also true that most of the new problem loans in the bank were originated while Uzoma was Executive Director covering those areas and also a strong member of the credit approval committee Management Credit Committee, (MCC) which he frequently chaired in the absence of Alex Otti, so he signed off on all of them. However, he could not manage those accounts himself in the absence of Alex Otti because Uzoma was never given to visiting the bank’s customers and some of them interpreted this as arrogance. But the real reason is that he had nothing in common with those customers. Nothing to talk about as their interests were miles apart. While these corporate customers were interested in the economy, politics, the weather etc. it is on record that Uzoma would rather stay in the office where he would visit one female staff after another, drinking brandy with them during office hours. He is reported to constantly refuse to join his staff to visit big customers insisting he would rather speak to them on Skype or FaceTime. His other interest was how to contact and date the prettiest girl in a magazine cover page. That same interest was not kept outside the bank. It is a well-known secret that Uzoma does not keep his relationship with female bank staff at the professional level. He also does not know how to differentiate between a single girl and a married woman as long as the person works for Diamond bank and is good looking. In spite of his beautiful wife he condescends to unimaginable proportions to intimidate female staff to succumb to his sexual advances- thus falling guilty of the seventh corporate sin. The author of that rubbish made reference to the loan to Geometric power. He conveniently forgot to say that Geometric loan was booked several years before Alex joined the bank in 2011 and that the bank stopped funding the project in 2009 and that loan had gone bad before Alex used his contacts to get approval for AMCON to take up a large chunk of Diamond’s exposure to the company to make room for continued funding of the project without breaching single obligor limit. He forgot to say that Alex and team completed the project before he left the bank. He forgot to mention that the Dozie family got enmeshed in the project with Pascal “miraculously” becoming a shareholder in Geometric. Prof. Berth Nnaji is still alive and can be contacted for confirmation. Mr. Chima forgot about the Sunburn Yatch where in 2005, the bank lent N5.6b to a strange company with a strange business model which acquired the boat and the loan naturally went bad. The bank was incapacitated for years while the boat was rotting away in the Bonny camp waters. It was only an Alex Otti that could sell the boat and move it on Christmas day in 2012 to the high seas and by the time the company knew it, the boat was already in the Middle East and Diamond Bank was paid. When it became clear that he had no strategy to run the bank, Uzoma started asset stripping to shower up profit. The first victim was Diamond Bank subsidiaries in the Francophone countries which he sold in a deal that people think was less than transparent. The next year, he sold Diamond Bank UK. Now there is nothing left to sell and the sh*t seems to have hit the fan. It is after 4 years that someone realized Alex ruined the bank. Hello! Uzoma weakened the board very immensely to enable it come within his handling capacity. The current composition of the executive directors is such that no one can challenge his decisions. 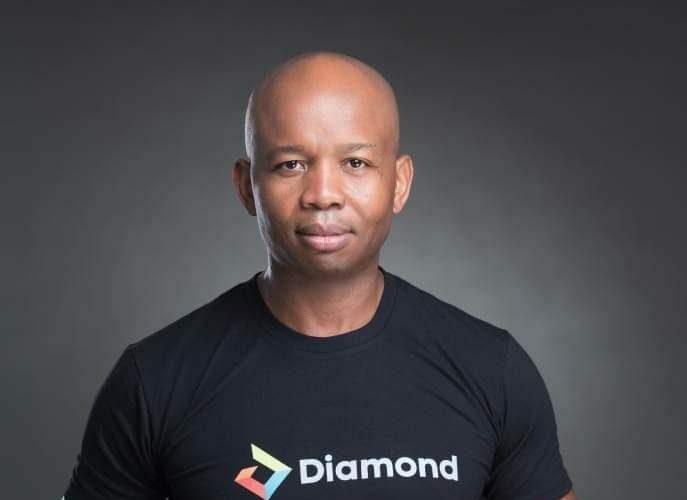 Four board members recently resigned from Diamond bank following disagreements over Uzoma’s leadership style. These directors had challenged Uzoma at their recent board retreat in Uyo for showing up with a private jet. They couldn’t reconcile the MD of a sinking bank flying in a private jet. They insisted that if Uzoma refused to leave, they would resign, and that they did. But the blow that broke the Carmel’s back was the loan collected by Pascal Dozie, first from GT bank and later taken over by Access bank. The loan was used to take out the foreign investors, Actis who with the benefit of hindsight, were very smart. They insisted on exiting the bank when it was clear Alex Otti was leaving. They sold to the Dozie’s at a tidy N7.50 per share in 2014. They received over $125m from the Dozie’s at exchange rate of N160 per dollar. You should know what those shares are trading at today and where exchange rates are also. The foreign currency loan originally secured with MTN shares was now swapped with Diamond Bank shares with Access Bank. With the deterioration of the exchange rate, coupled with the tumbling of Diamond Bank share price, the gap between loan and collateral widened significantly, leading to the need for margin call by Access bank. Unfortunately, Pascal had executed a deed of sale of his Diamond Bank shares in favour of Access bank as part of the security for the loan. Thus, Access bank did not find it difficult to convince Central Bank of their right to take over the bank. This forced Diamond bank to approach Access bank with merger and acquisition proposal which they are currently managing in the press. Mr. Chima’s argument of borrowing from Access to keep Diamond afloat is another lie. It is indeed a private loan secured by shares of the Bank. Finally, on the numbers, the records are there to speak for themselves. Below is a graph of the profitability of the bank in the years 2011 when Alex Otti took over up to 2017.
y, I rest my case here for now.